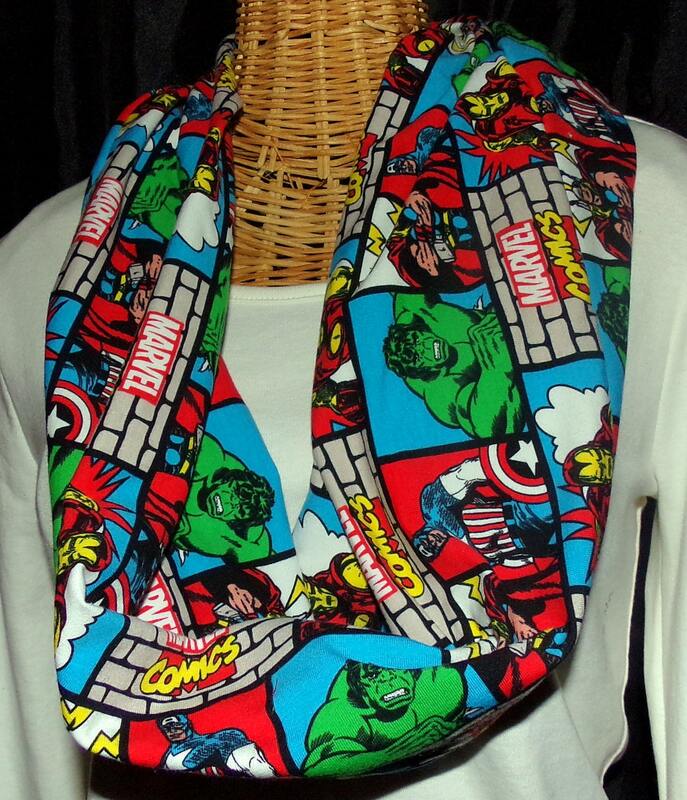 This Marvel infinity scarf is the perfect accessory for any outfit. Perfect for a PTA meeting or a night out with friends. Made with a soft knit material and sewn together at the ends to create that beautiful infinity effect. Care - please hand wash then lay flat to air dry.Looking for a different print to match an outfit? 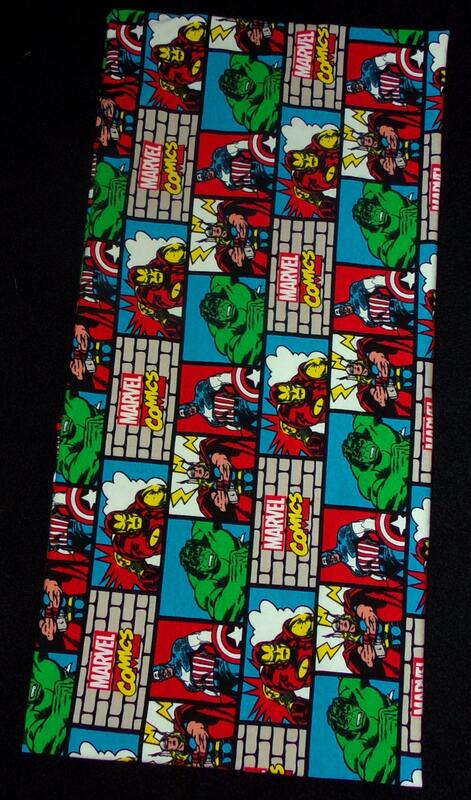 Send me a message and I will do my best to find the perfect fabric for you. Measurements: Length is approximately 20" (40" in circumference). Width is approximately 10"